All pilots to the hangar bays! Die Fighters: Launch! 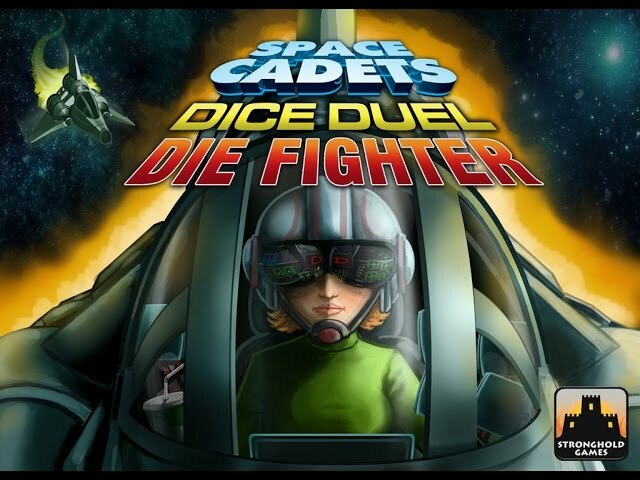 Die Fighter is an expansion to the team vs team real time board game Space Cadets: Dice Duel which increases the player count to ten and adds one-man fighters - fast and maneuverable ships which can rocket around the battlefield. The game comes with several variants for differing player counts, including a 1 versus 1 dogfight! Die Fighter also comes with Experimental Equipment to upgrade your ships. These 27 cards include new weapons, enhancements to existing systems, new movement options, and more.